How Are Forests and Water Security Connected? The major uses of freshwater resources in Armenia are agriculture, hydropower, and drinking water. Climate change projections being made by scientists predict that Armenia, currently considered water abundant, could be at risk of not having enoughffresh waterto adequately supply its population in coming decades. Summers--which are already characterized by hot and dry weather conditions--are slated to become warmer and longer based on these projections, leading to increased problems of water scarcity. According to a report by the Ministry of Nature Protection, one climate change scenario projects a 12 percent decrease in the volume of river flows by 2030. There is also a prediction that river flows will become more vulnerable as a result of reduced snow stored in winter. We certainly saw this effect this spring due to the mild winter in Armenia. This past May, I attended the United Nations Forum on Forests where the issue of forests and water scarcity was high on the agenda. Everyone was talking about the role of forests in water security and focused on how to protect our valuable "natural infrastructure." Accordingly, one of the mandates set by the UN at this forum was to reset forestry priorities away from a primary emphasis on carbon sequestration to fight climate change and toward a focus on water security since it is so essential to life. Forests play a critical role in the proper functioning of the hydrological or global water cycle (see diagram). In fact, one-third of the world’s largest cities obtain a significant portion of their drinking water directly from forest-protected areas. Forest conservation is linked to the health of water basins. Thoughtful conservation programs oversee and regulate soil erosion and pollution while preventing desertification and salinization. Forests also help capture and store water, mitigate floods during periods of heavy rain, and ensure steady water flow during drier seasons. 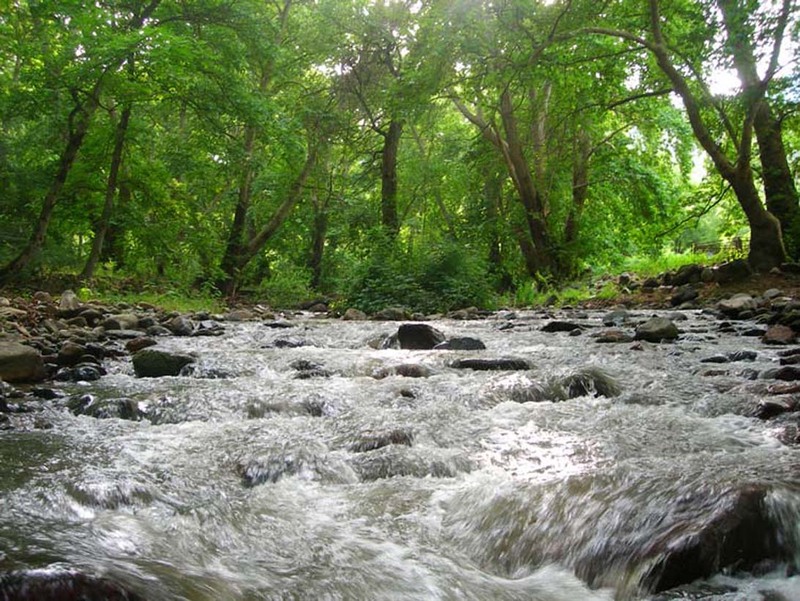 Trees and forests provide many ecosystem services, including shade, fruit for food security, carbon sequestration to fight climate change, and even natural beauty in support of Armenia's tourism industry. Forests are of strategic importance given their integral role as a part of the hydrological cycle. Armenia Tree Project (ATP) recently planted 70,000 more trees in an effort to protect Armenia's environment and build up our natural infrastructure. Trees take years to mature and grow, but play a vital role in making Armenia a beautiful and resource-rich country.